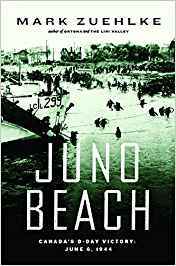 Drawing on personal diaries as well as military records, Juno Beach: Canada’s D-Day Victory: June 6, 1944 dramatically depicts Canada’s contribution to the most critical Allied battle of World War II. Acclaimed military historian Mark Zuehlke recreated the pivotal day of World War II from planning through attack. Falling through a black night, praying to land on target were the newly trained Canadian paratroopers, who were among the first Allies on French soil. Canadian soldiers, most untested in battle, crossed the English Channel during a night storm and ran off landing craft into a deadly sea. Juno Beach is their story, shared at last in the rich detail their achievement deserves. Ship's Company of the corvette H.M.C.S. CAMROSE, St. John's, Newfoundland, 18 July 1942.